Why wouldn’t you want to make this in your own kitchen? Your favorite fast food companies go to a lot of trouble to ensure that a burger you buy in Brooklyn, New York, tastes the same as one you buy in London, England. They want you to associate a specific flavor with their brand, and to fall in love with both that flavor and that brand. 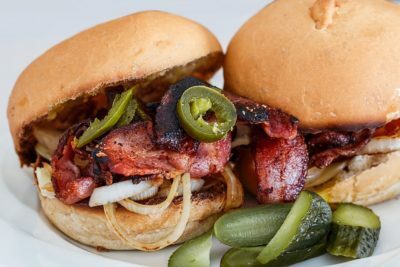 As a result, it can be very difficult to replicate these fast food favorites in your own home. Many of us would prefer not to and would take a home-cooked burger over a McDonalds one anyway. But if you have a love for this food then there are a few things to keep in mind that will help you make it yourself. Sharp Knife: Cheap knives can be blunt and useless. A set of knives is overkill. A good, sturdy and incredibly sharp knife will do. This can be used to slice tomatoes and cut sushi, instead of ripping life blunt knives do. Processor: A handheld one is fine, an essential tool for sauces and soups. Masher: Helps to cut potatoes extra fine and can make a huge difference for many meals. There are a few others as well, depending on what you cook, but these are the basics. The main thing to consider is that you don’t need to go overboard with hefty appliances and expensive gadgets. For perfect fries, use a peanut oil (assuming you are not allergic) and you’ll get fries that taste like Five Guys. If you want super thin and super crispy, then deep fry from frozen. You can also experiment with spices and with sweet potato. The sweet potato fries at Smashburger have to be tasted to be believed and they are very easy to replicate at home. How many times have you found the perfect meat patty, only to slop it into a bun that is dry, crumbling and nothing like your favorite fast food joint? That’s because most buns sold in grocery stores are just bread, whereas buns in fast food chains are brioche. They use more butter in the dough and there is also sugar in there. It produces a bun that is softer, sweeter and perfect for your burger. You can use the same mixture to create the ultimate hotdog. It doesn’t break and crumble when you bite into it. It sinks, softens and tastes so good it makes us hungry just writing about it! If you have ever been inside a French restaurant you will know that the secret ingredient to great tasting food is fat. It’s a no brainer, but it’s something we’re leaving out more and more. The perfect mashed potatoes need butter and cream. Mac n Cheese needs extra helpings of butter, cream and cheese. 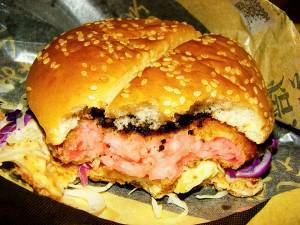 Fat is used in abundance in fast food and it really does make all savory foods come to life. This is as true of the copious amounts of oil used in salad dressings as it is of cheese sauces and sides of pasta, potatoes and more. Don’t worry, it’s not raw. It’s actually shrimp, which is worse. Finally, we wouldn’t be Secret Menus without a few mentions of menu hacks. One of the best ways to get that fast for experience is to combine strange combinations. Make a burger out of hash browns like on the Tim Hortons Secret Menu. Throw some fries into a wrap and create a Gyros like on the Pita Pit menu. It’s starch on starch, but that’s what fast food is for the most part and it’s why we love it so much.